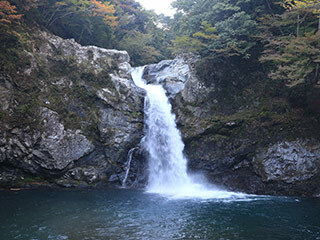 Seno Falls (清納の滝) is one of the waterfalls located in Totsukawa, Nara Prefecture. It is about 15m tall waterfalls with a beautiful basin. Need a car. Drive Route 168 to 425. The trail of Seno Falls is located on route 425. It will take about 10 min. walk to the waterfalls.